A need to do intricate ocean research in small spaces has produced the latest example of biomimicry. Robotics scientist Cecilia Laschi and her ARTS Lab team at Scuola Superiore Sant'Anna have taken inspiration from one of the most flexible, adaptable, and - most importantly - articulated creatures on earth, the octopus. 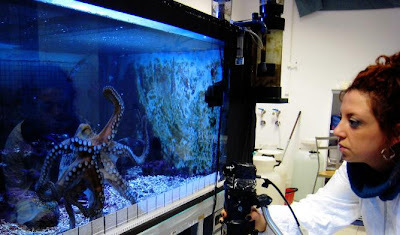 The Octopus Project, part of the Research Centre on Sea Technologies and Marine Robotics, is set to revolutionize soft body robotics. Most importantly, it will allow ocean scientists to explore areas they never could with current robotic technology such as tiny crevices in delicate coral reefs.